While he no longer owns livestock, Fred Lamphere finds himself looking out for those who do. As the sheriff of Butte County, South Dakota, for 16 years running, that can be a big job, especially since livestock theft is not "a thing of the past," as some might want to believe. "Here in South Dakota, we have a few things against us right off the bat – half the state is in the inspection area while the other half is wide open. Then we've got reservations along the border of the state – on the north side and the south side and along the river (the east edge of the brand inspection area). They handle some of their own stuff – because they are a sovereign nation, there are limits to what you can do. So we've got these obstacles we have to deal with," he said regarding brand inspection and investigation of missing livestock. Members of the South Dakota Stockgrowers Association, the executive director of the brand board, the chief brand inspector, several representatives from the state Department of Criminal Investigation, and about a dozen county sheriffs met on June 25 in Pierre, South Dakota, to talk about livestock theft and to share ideas to prevent theft and improve recovery of stolen livestock. Bill Hutchinson, the South Dakota Stockgrowers Association brand committee chairman and a former brand inspector, said the meeting helped educate both the DCI and the sheriffs as to the unique nature of livestock theft situations. "People sometimes look at the strayed and stolen report and they think that cattle theft is down," but Hutchinson said he explained to them that, in fact, a very small percentage of stolen or missing cattle are ever reported. "We told them, don't think that the report is complete. It's not like a store owner who has property stolen – cowboys usually don't report it." 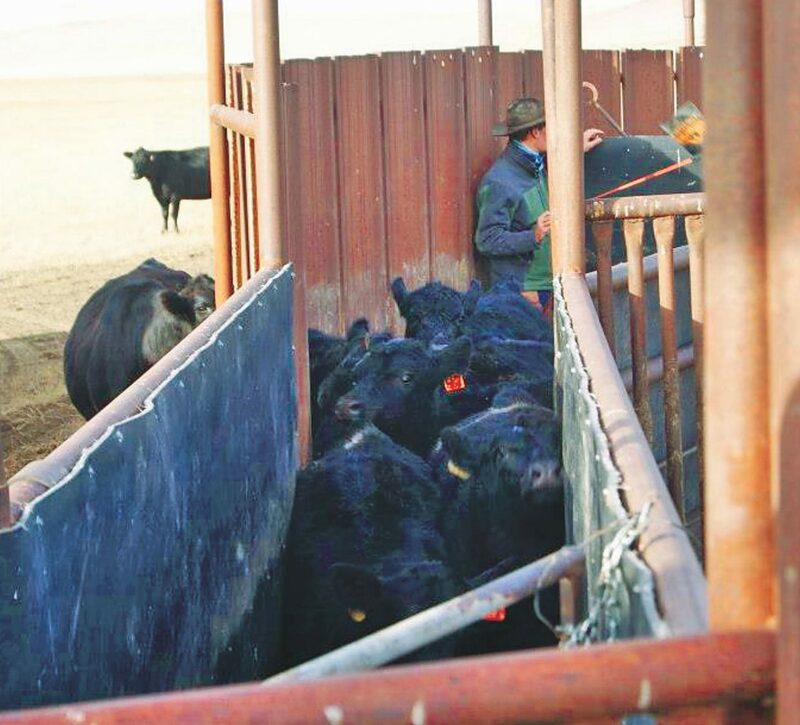 "If I were short two or three head of cattle, I'm not going to turn it in," Hutchinson, a rancher and brand inspector for 20 years, said most cattlemen are the same. "They see the futility in it – only a few head were recovered last year through the state investigation program. If they don't think they will get their cattle back, they aren't going to report it." Hutchinson added that ranchers worry that reporting missing cattle actually makes them a target for future theft. Lamphere said that in years past, the local sheriff would often assist in theft cases and help recover stolen livestock. More recently, county sheriffs including Lamphere have found themselves less involved in livestock investigations, and he'd like to see that change. 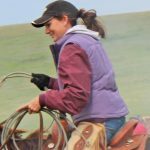 "Sometimes, I think ranchers think 'what good does it do to contact the sheriff, they don't do livestock.'" But Lamphere said because they are local, and they have access to local information, sometimes the sheriff can help more quickly than other investigative options. "A theft is a theft. I've been in law enforcement for 27 years. When we get a call, we investigate." Lamphere pointed out that he can look back at records – maybe a rancher discovered some cattle missing two weeks ago but just reported it– and see if his deputies happened to see anything suspicious at that time. "Maybe we pulled someone over for a missing light on their trailer, or something. At least we have a license plate number and can start looking into it." Lamphere said he strongly encourages ranchers to contact him at the first sign of missing cattle. "I think it is a mindset that if you report something missing that you are accusing someone of stealing. I feel that it is the reason producers are reluctant to report right away. They do not want the sheriff questioning their neighbors about missing livestock. We have to trust our instincts and at the point you think something is wrong, it usually is." Lamphere said usually ranchers rule out any other options before filing a report – they search all of their pastures and try to talk to their neighbors, but they should consider making a report more quickly. "That way if we need to pull someone over with a trailer we can do an inspection. If it's a rancher headed to a branding, then it's no problem but sometimes you are going to catch that guy with no paperwork for the cattle. And even if he bamboozles you and gets away, you've got a timeline that you dealt with him and a licnese plate number." The meeting participants discussed creating a universal report that livestock owners could fill out if they suspect theft. Lamphere is hoping for a "form that would be transferrable from one law enforcement agency to another, and that would maintain the continuity needed at both the local and state level." Both Lamphere and Hutchinson were impressed with the number of east river sheriffs that attended the meeting, as well as sheriffs from west river. Even though brand inspection isn't enforced in eastern South Dakota, a registered brand is still legal proof of ownership. "Just because they're not in the brand inspection area – a theft is still a theft, and it happens on both sides of the river," said Lamphere. Hutchinson said both the DCI representatives and several of the sheriffs thanked the South Dakota Stockgrowers for hosting the meeting and asked if they could attend the organization's annual convention on Rapid City in September. "I'm looking forward to having a meeting with them again at our convention," said Hutchinson.